The Bobby Jones apparel line for 2016 may come as a surprise to a lot of you, it certainly caught me off guard. It’s a name which carries as much history as any others in the game of Golf, Bobby Jones. Arguably one the greatest golfers of all time. His accomplishments have been unmatched in the many year’s golf has been a competitive sport and to this day he is still considered by many the best to have ever played the game. It definitely says a lot about a company that is willing to carry his namesake for their products. 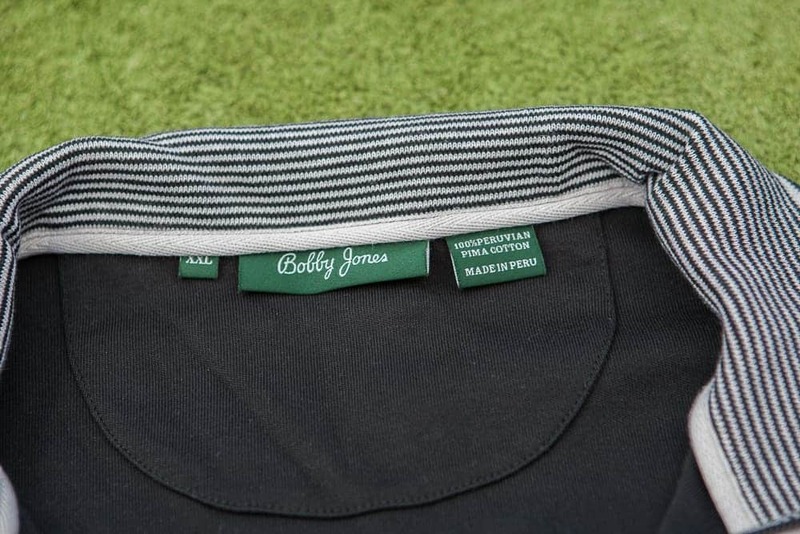 Bobby Jones the company is doing their part to continue in Mr. Jones’s historical footsteps with a line of apparel that fits the legend in every way. 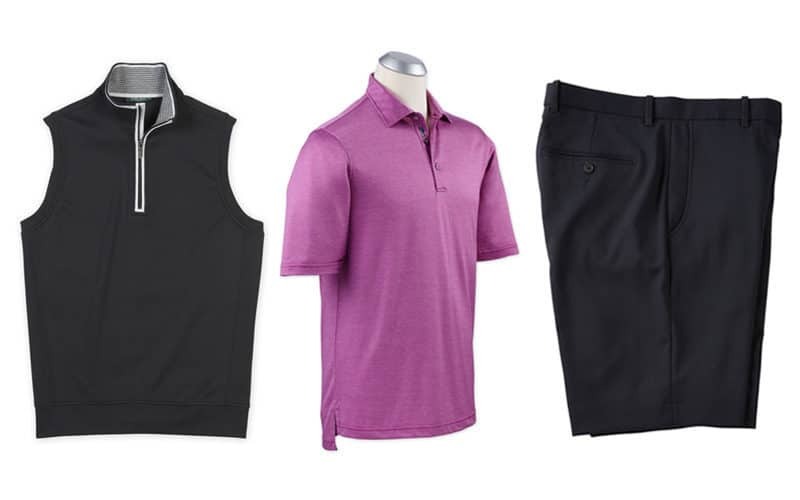 The modern golfer has so many choices nowadays to choose what to wear out on the golf course. 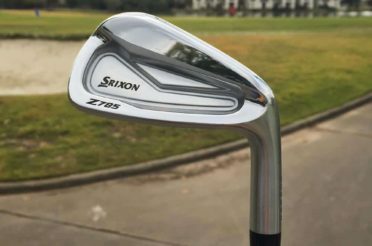 For the most part, golf has been adapting to the players wants and that has led to some creations that are clearly envisioned from outside the box. For the traditionalist (for the record I’m very far from this category) through the classic and elegant look that is timeless has gotten lost, somewhat so, in the fray of the wild and crazy. 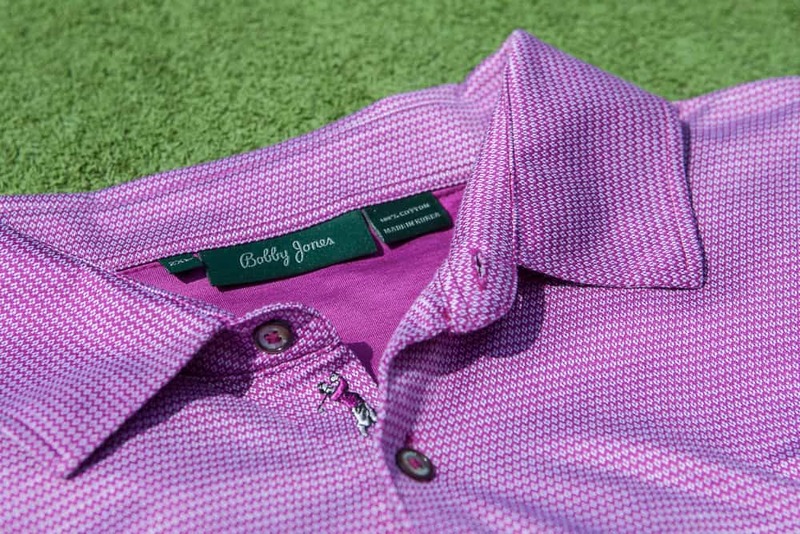 The Bobby Jones brand was started in 1989 and continues to move forward to this day. 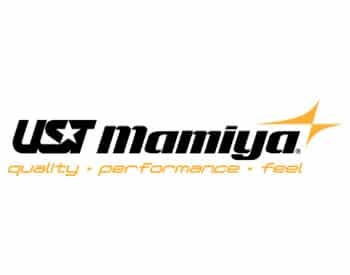 Five years for an apparel brand is rather outstanding in today’s economy, ten years is rare so to their credit 27 years in the industry is truly remarkable. Staying true to the brand and offering collections for their clientele has allowed the company to grow its roots into the golf apparel industry and probably more solid than anything we’ll see for many years to come. 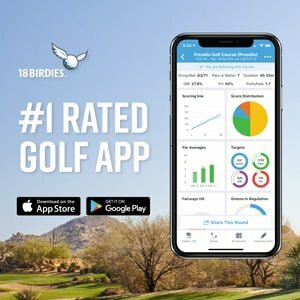 When you visit the Bobby Jones Website you’ll find there’s an awful lot to see and interact with. The design of the site fits perfectly with the company’s style and I found it a very attractive and effective tool for viewing their merchandise and oh my goodness is there a lot to check out! 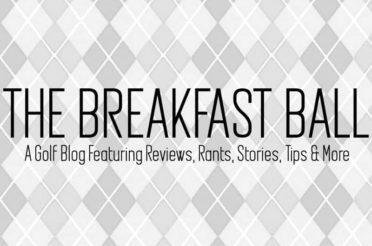 I couldn’t believe how extensive their product line is. You could literally browse for days. From equipment to clothes and artwork to merchandise like glasses, ball markers, and divot tools, the site has a plethora of merchandise that all fans of Bobby Jones and his epic career can enjoy. The apparel is what really stands out, though. It’s broad and vast and covers and has a tremendous amount of variety. For this review we’ll I’ll be focusing on the three pieces they sent us for this review. 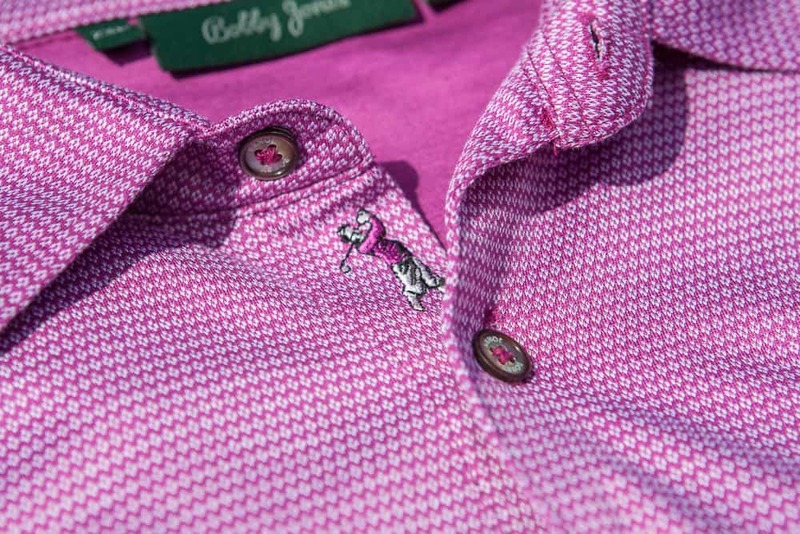 Up first is the Diamond Jacquard Polo. When I was browsing through the online catalog I was quite surprised with the selection of polo’s Bobby Jones carries. There are over 40 different variants to choose from and narrowing my selection down to just one was a lot tougher than I thought. 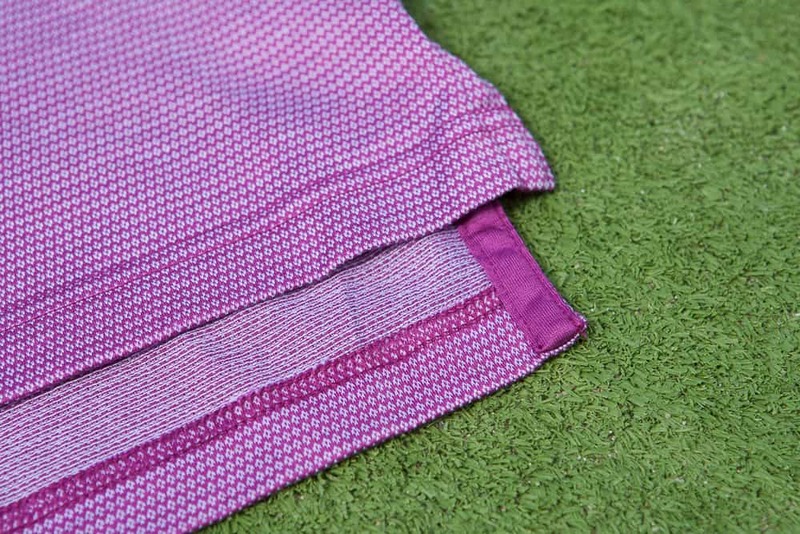 With much debate in my mind, I made the choice to go with the Diamond Jacquard polo in Italian Plum. Even the names sound elegant! 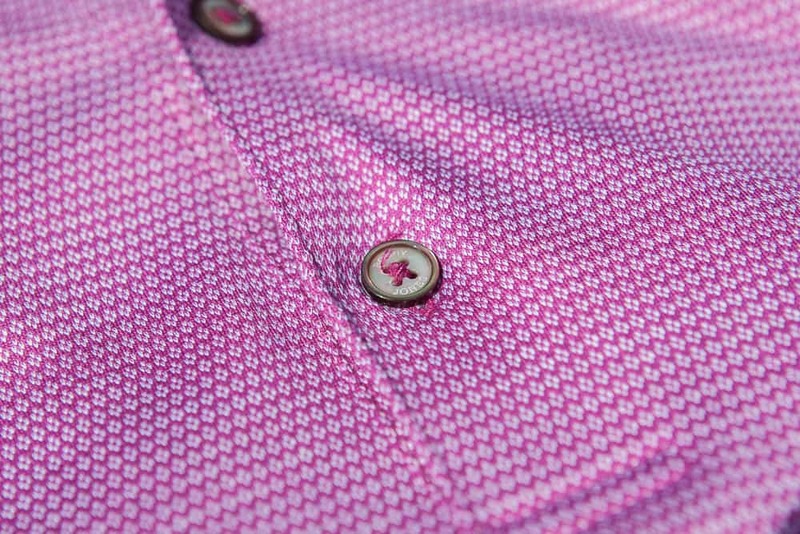 Made from 100% cotton this classical design polo is a gem. 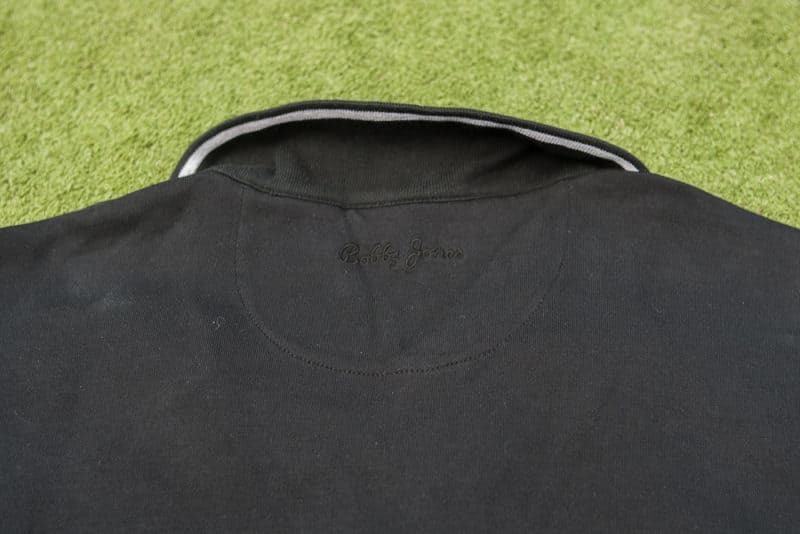 The texture of the shirt on your skin is unmatched from the moisture wicking, modern day shirts you’ll find on every sales rack in the country. A few life lessons from my friend Adam assured me it would change the way I feel about the material and he was right. 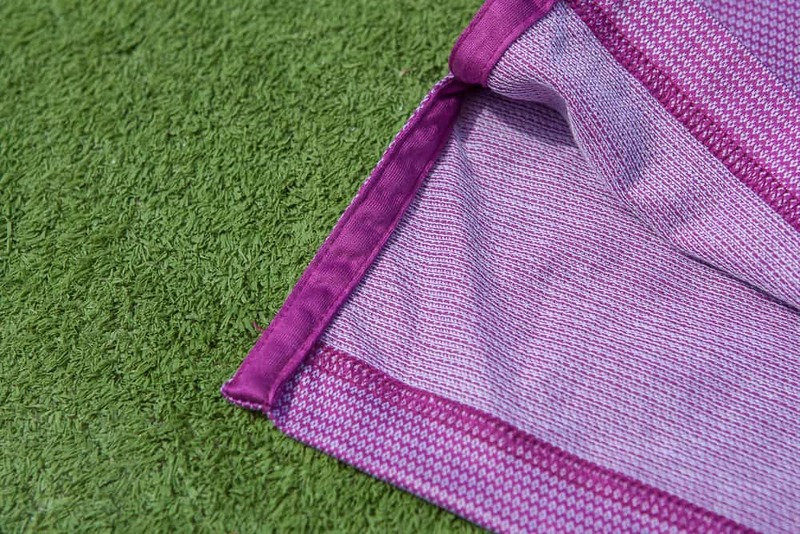 It’s an incredibly comfortable material to wear on the golf course. It’s flexible, durable and in the right conditions, it can be the perfect compliment to the game. The downside to wearing 100% cotton for me is where I live. Las Vegas isn’t exactly the place for Polo’s made from 100% Cotton, at least not in summer. It just isn’t as breathable as other fabrics and in the 110-degree heat having some airflow is mandatory. 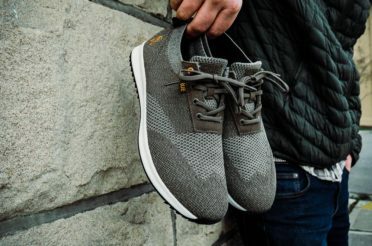 Fall and winter, on the other hand, is a fantastic time of the year for cotton and that’s when my wardrobe changes over and the lightweight breathable polos go to the back of the rotation and my cotton one get their opportunity to shine. As expected in a higher end piece, the attention to detail is outstanding. My only concern I ran into with the polo is the sizing. In no way does it affect the overall design of the shirt, it has more to do with my body type than anything else. By their sizing chart, I conservatively went with an XXL. Fearing the XL running a little small and in turn me not being able to wear it had me go with the next size up. It fits me very well across the majority of this short fat golfers body (I’m talking the beer gut) but the sleeves are much longer than other shirts I’ve worn in an XXL size, which was several inches past my elbows, Other than this small issue, and like I said it more my body type than anything else, the Diamond Jacquard polo is top notch fashion statement and very well executed golf polo. Keep that in mind all you short, stout golfers out there. The XXL is designed more for the tall big guy, not us short and pudgy beer lovers! Next up is the Leaderboard Quarter Zip Vest. I was a little bummed when the belt I was requesting for this review was unavailable. I think it would have tied the ensemble together very well, but sometimes you just have to take advantage of certain situations. 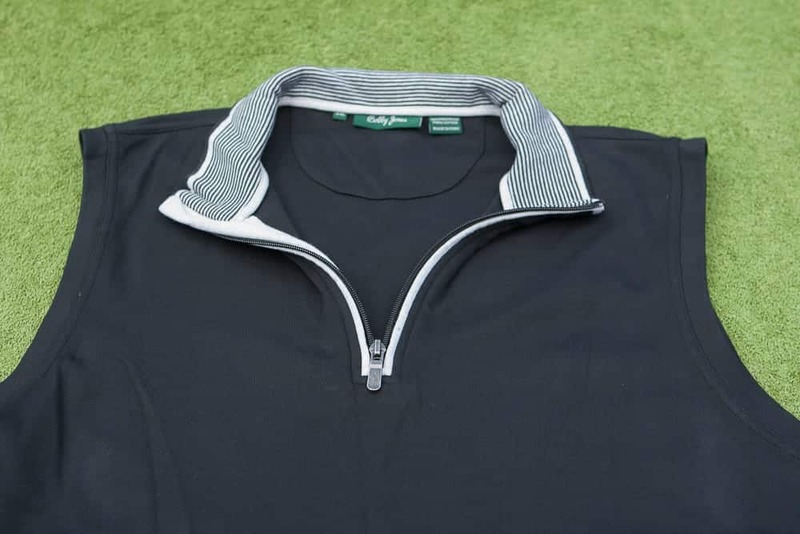 Luckily for me, the folks at Bobby Jones did an awesome job of selecting another piece that did an outstanding job of complementing the outfit and choose the Leaderboard Quarter Zip Vest. After wearing this around the house and also during my most recent trip to Canada it’s clearly a piece I’m falling quickly in love with. Made from 100% Peruvian Pima Cotton, meaning it’s as comfortable as it gets, this vest blew me away with its casual look, classic feel and above all other features its functionality. Going back to what I said with the polo, Vegas in the summer is the last place you find someone cruising around the course in a Black Pima Cotton vest unless they are literally insane. I was, however, excited to bring it along with me to Cabot Links last month and it was a joy to wear. The temperature in Inverness, Nova Scotia was humid and warm, pretty much in the lower 80’s most of the day so I didn’t get to wear it while I was playing during the day but, at night Cabot Links turns on the lights outside the pub and illuminates the 18th green. 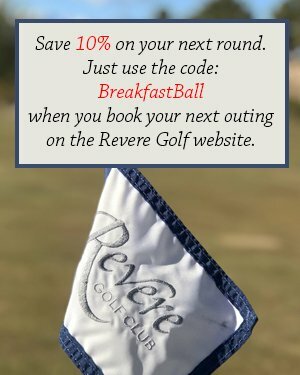 Hotel guests and patrons are encouraged to come out the 18th and night putt. We took them up on this both nights we were there and had a blast. Once the sun goes down the chill off the ocean comes into play and I was glad to have the Bobby Jones vest with me. The cool breeze coming off the water definitely put a chill in the air. I could have stayed out there all night wearing the vest. It’s quite comfortable and didn’t affect my play at all. Both nights at the resort we putted on the 18th green. And both nights I was wearing the Leaderboard vest and it performed flawlessly. I couldn’t believe how well it fit (XXL was the size I went with for this piece as well and it was perfection) and while wearing it, how well I played. 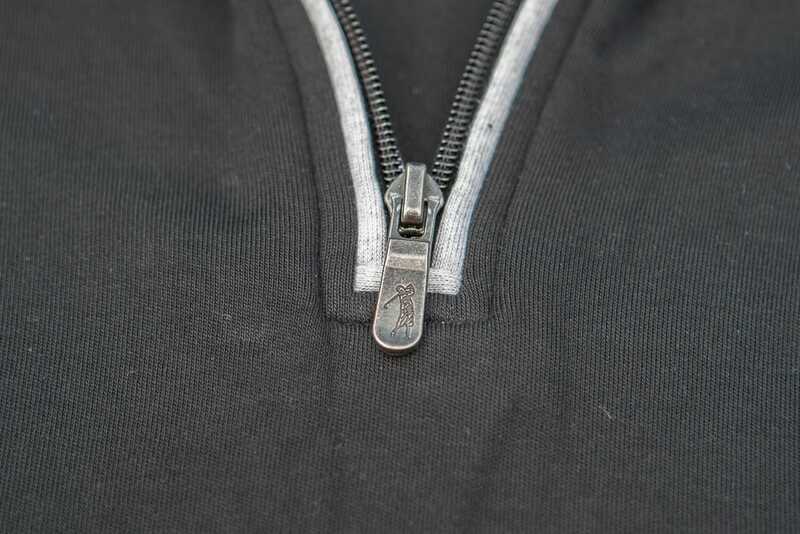 It’s very stylish, doesn’t hang on your body like some pullovers can and performed well above expectations. I’m looking very forward to the fall season this year. My cooler temp gear has been rather lackluster over the past few years but now I’m ready to hit the course in some damn good looking gear knowing it’s not going to hinder my performance at all! 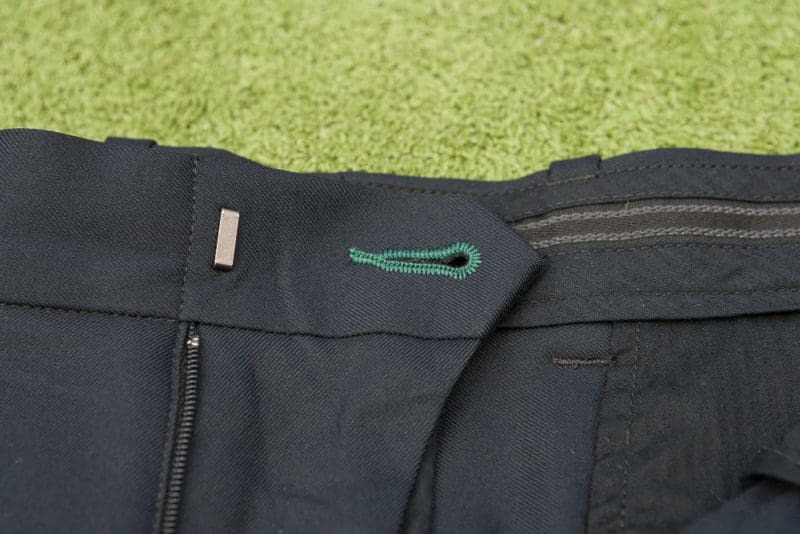 And finally, we take a look at the Flat-Front Tech Shorts. Nothing makes a golfer in desert happier than seeing a great looking pair of shorts show up in the mail. It goes without saying of the three pieces that we were sent from Bobby Jones, I’ve abused these Flat-Front Tech shorts the most. I was glad to find out these shorts are true gamers for the course. From the moment I slipped on the shorts, I could tell they were made with quality and fit in mind. 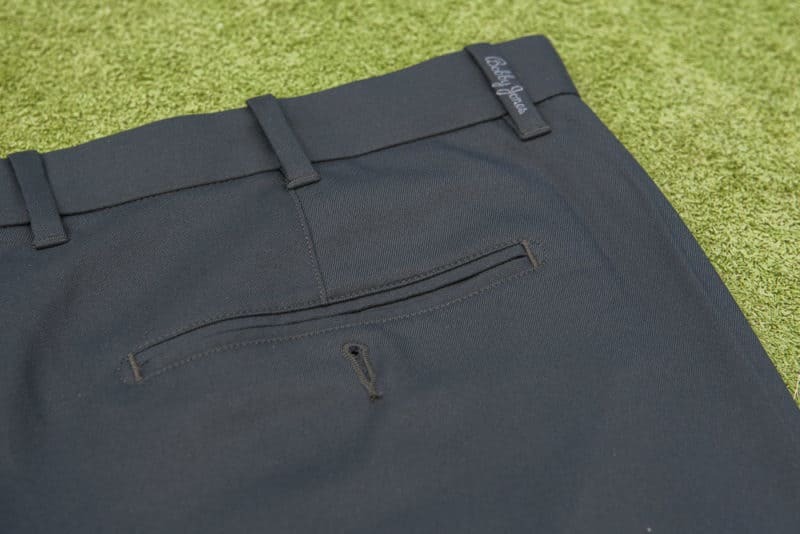 It’s not hard to please a golfer when it comes to shorts. Make them fit, make them comfortable. Flash and style all come second nature in my opinion. While I do love the flashy stuff if I’m being completely honest, if it does fit or feel good I’m not wearing no matter how amazing it looks. Going with black may be calling it safe but I’m a fan of the darker colors in apparel (hides my many body flaws) and I haven’t worn anything in the Khaki color variety in a long time, so yes I went with the safe choice. I’m glad I did, though. 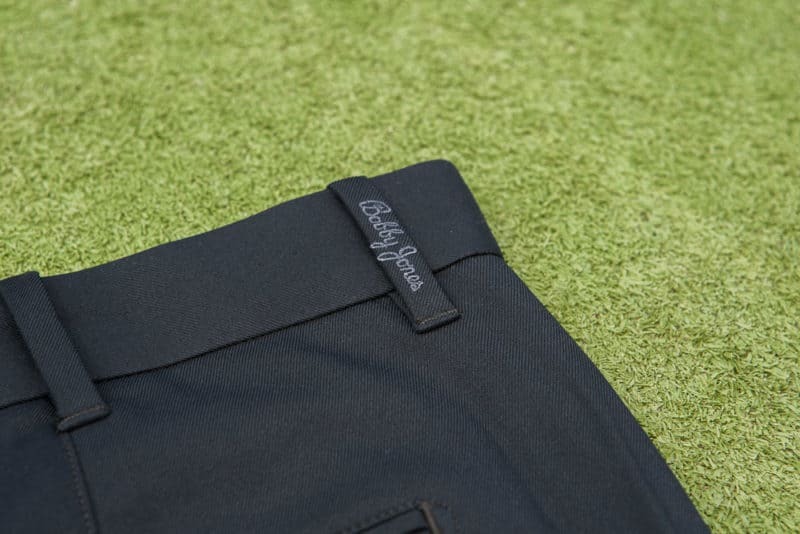 The Bobby Jones Flat-Front Tech shorts were the surprise of the three pieces. The sizing was dead on perfect. It’s always a gamble going with sizes of something you’ve never worn before so I was pleased to see the shorts and I got along from the first time we were paired together. 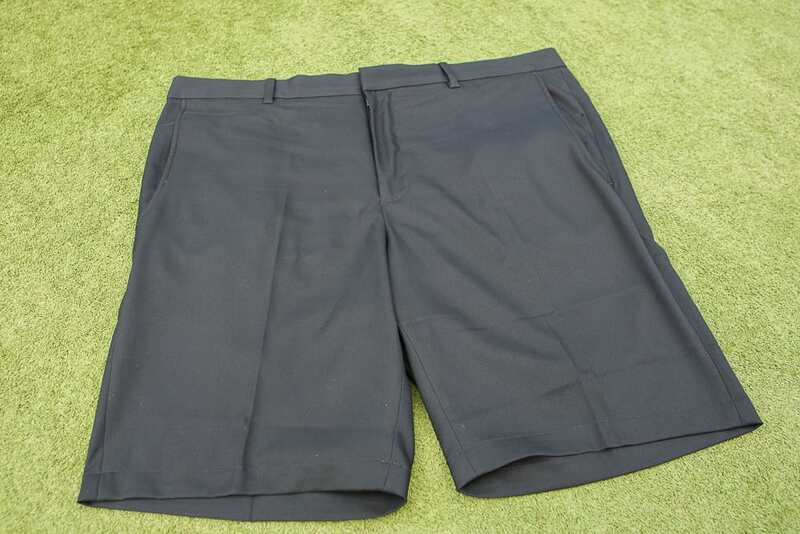 There was no need to wait for decent playing conditions or “weather” with these shorts, the first day I got them I headed out to the range and got in a small session wearing them. It was time to see how they held up in the sweltering desert heat. They handled the heat without any issues. Occasionally you’ll find some shorts get a little tight in the heat or ride up on you. Didn’t happen with these shorts as I went through my session feeling like I was wearing some comfy PJ’s. 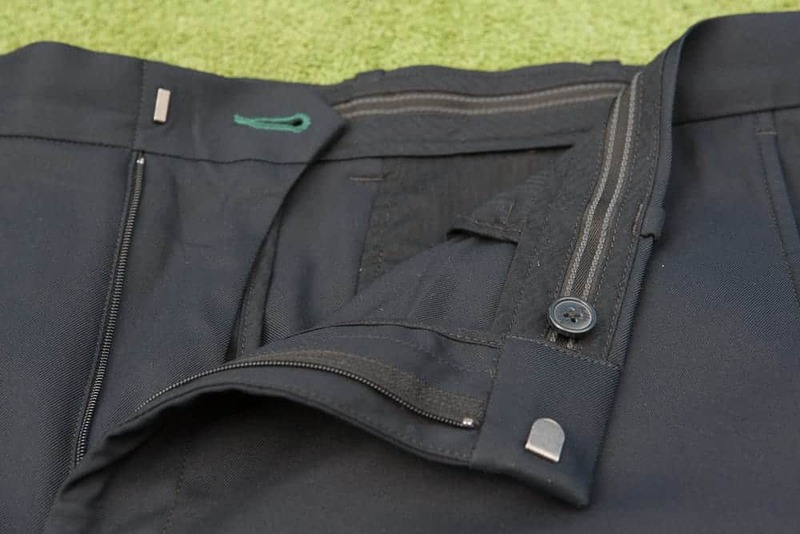 The front pockets are a perfect size to hold all your stuff for a round and by no means are they too small. 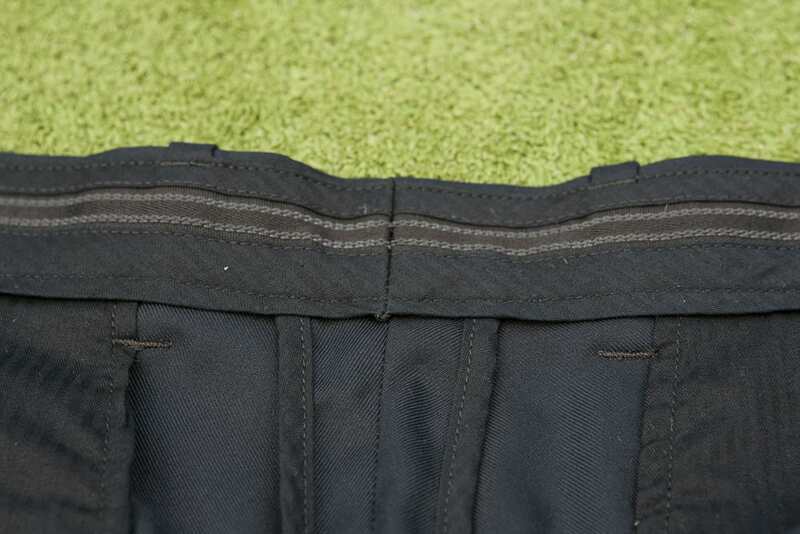 A lot of times in higher end shorts you’ll find the manufacturers take away from the pockets for either style purposes or even worse to eliminate materials so the fit is better. Not happening with the Flat-Front. The rear pockets are perfection as well. 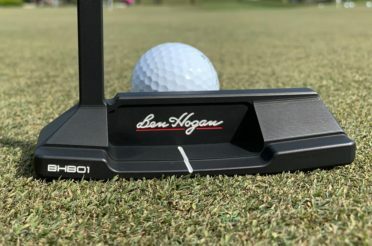 I had zero issues with keeping my large scorecard/yardage book holder in place, they’re deep and wide which is an excellent fit for this golfer. Just as I found in the other pieces from the attention to detail is off the charts. From the stitching to the details in the button and even the small things like the Logo embroidery on the belt loop. You can tell a lot of love went into the design and the creation of not only these shorts but all the pieces we received from the Summer 2016 Collection. 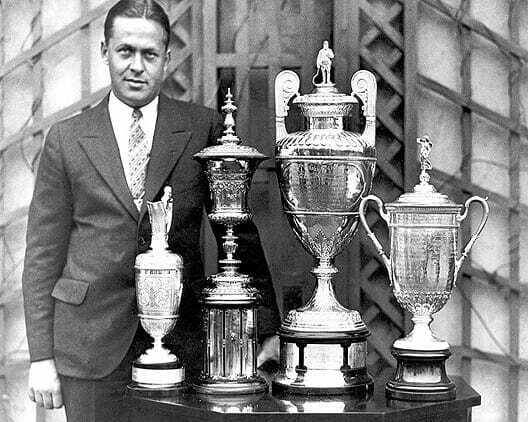 The name Bobby Jones carries a ton of history with it. By attaching it to a product line you have to your stuff together and represent in a way that not only honors Mr. Jones but also reflects on his passion and love for the game. Considering what I’ve seen and learned from this review I’m in 100% agreement they are doing exactly that. Congratulations Bobby Jones Golf, you have done a fantastic job keeping the memories of Mr. Jones alive and well. 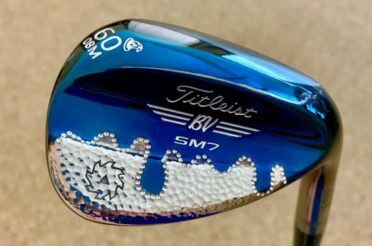 To see all the products, merchandise and even equipment they have to offer please visit their website and see for yourself all the products Bobby Jones has to offer.